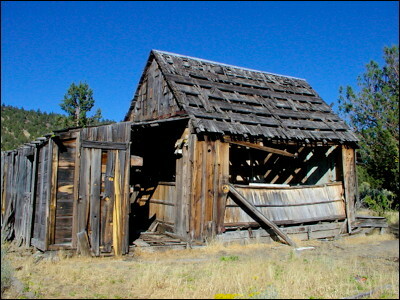 Here are images from an old rancheria in the Pit River country of northeast California. It was here, near the hot springs, that anthropologist and linguist Jaime de Angulo lived with his Pit River Indian friends in the early part of the 20th century. He learned the native language and jotted down stories that would become source material for several of his works, including his novel Indian Tales and its autobiographical accompaniment, Indians in Overalls. These photos were taken on September 24, 2006.